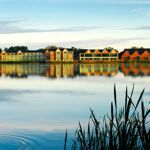 As much as we’d all like to be pampered at a five-star resort on holiday, eating out every evening and generally leaving daily chores behind, many families need to find a more affordable option – and that usually means self-catering. Making beds, cooking, laying the table, loading the dishwasher… it might not sound like much of a holiday, but look on the bright side: with space to spread out, a villa or cottage offers a relaxed home-from-home atmosphere; you’ll have the flexibility and independence to eat what you like, when you like (a boon for young families), and you won’t be worried about disturbing other guests. Best of all, though, a self-catering family holiday offers great value and incredible choice. At one end of the scale, you can squeeze everything you need into the car for a low-budget camping trip, and at the other extreme you could fly-drive to a posh villa that might even throw in a few ‘resort style’ extras like room cleaning or babysitting. 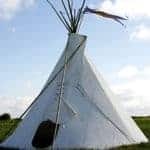 Whether you’re the ‘grapple-with-multi-jointed-tent-poles’ DIY-camper or more of a ‘ready-pitched-let’s-hope-there’s-a-hot-tub’ glamper, spending a week or two under canvas with the kids is an essential rite of family holidays. Most people have had stressful moments with family camping but there are few things more satisfying than setting up camp – particularly if the site allows campfires where children can toast marshmallows and cook outdoors. 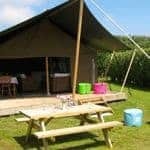 The stylish safari tents at Trevella Park offer pampered camping on the North Cornwall coast. 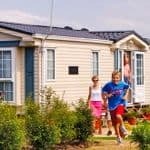 If sleeping under canvas really doesn’t appeal, however, you can still find great value self-catering breaks by staying at a holiday park. Siblu takes the hassle out of self-catering. 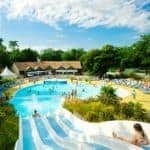 Its holiday villages can be found in some superb spots across France, from Normandy to Provence, and each one is packed with family facilities such as free kids’ clubs, swimming pools, restaurants and sports activities. 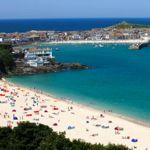 Gwel an Mor in Cornwall also offers holiday park features – such as an indoor pool and restaurant – but with accommodation in luxury Scandinavian style wooden lodges, some featuring hot tubs and wood burners. With bedroom, kitchen, playroom and car rolled into one, motorhomes give you the flexibility and independence to cover large distances – without inducing the levels of protest you might expect from children on long road journeys. The United States is another prime destination. 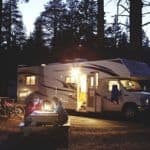 Tour Alaska, California, the Rockies or striking out on Route 66… Check out Frontier Motorhomes for your RV (recreational vehicle) requirements. 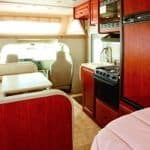 Take the wheels off a motorhome and you (sort of) have a narrow boat – with all the same levels of comfort and free-roaming appeal. 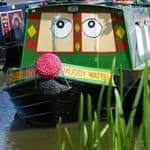 Waterways Holidays offers a range of cruisers for exploring the UK’s inland waterways. Some vessels can sleep up to 12, so why not press-gang another family or two into joining you on holiday? 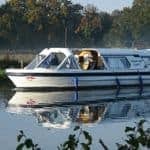 On the canals and rivers that criss-cross France, you can rent a cruiser that sleeps between three and 12 people. The slow pace is perfect for meandering through the scenic French countryside, perhaps taking time out for cycling, swimming, walking, and sampling the local food and wine. 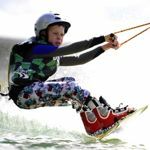 Find out more about a family boating holiday in France. 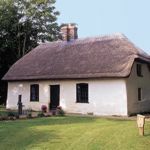 Splitting the costs of renting something bigger can also be a good way to save money on a self-catering cottage holiday. Oliver’s Travels has chateaux for rent in France, while The Big Domain has a worldwide portfolio of large properties sleeping between 10 and 56 guests – so you can not only take the whole family on holiday but your friends and neighbours too! If it’s something smaller and more intimate you’re after, there are numerous holiday cottage agents. 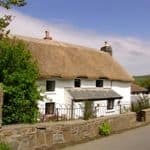 Classic Cottages are experts on holidays in Cornwall (and also have some charming places to stay on the Isle of Wight). New Forest Living has a great collection of luxury homes in the New Forest. 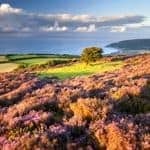 Also check out Helpful Holidays for cottages in Devon, and holidaycottages.co.uk for working farm holidays in the West Country. Rural Retreats is the best company for dog-friendly cottages in the UK and Ireland, while Sykes Cottages has the best properties in the Lake District. 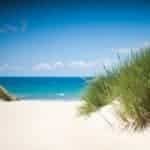 Two other regions I recommend for family cottage holidays: Northumberland and Norfolk. All offer a handpicked selection of quality properties – and many boast websites with an advanced search facility that allows you to specify a wide range of holiday requirements, from facilities like dishwashers, high chairs and swimming pools to whether you want to be on a farm or in walking distance to a beach. What’s particularly exciting about the cottage holiday industry is that many agents are diversifying into trendy glamping options. 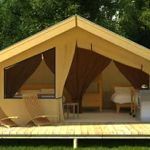 For example, you can now book a stay in a shepherd’s hut, airstream caravan, safari tent or wooden pod with Classic Cottages. All villas offered by Vintage Travel have private pools and you can choose from destinations right across Europe, from the Canary Islands to Italy. 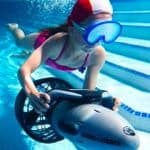 There’s even a search facility for villas with children’s pools. Tucked into a hillside in Umbria, Italy, Villa Martinozzi is a real stunner, with a fantastic outdoor living space complete with infinity pool, children’s pool and play area, dining pergola and terraces. For an interesting alternative to the Spanish Costas, Vintage Travel also has a great collection of family villas with private pool in Northern Spain. The beaches in this part of the country are superb. Further south, Sitges, a pretty beach resort close to Barcelona, is a bit of a hidden gem, with stylish shops, great restaurants and a great collection of family villas. 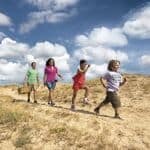 If you have young children, Menorca is a great option because the airport transfers are short and the island has lots of gently-shelving beaches that are ideal for pre-school kids. Check out these family villas. CV Villas also have a great selection of family friendly properties. Take your pick from over 450 luxury villas in destinations including the UK, Greece, Italy, France, Spain, Portugal, Turkey, Morocco and the Caribbean. All of them have private pools (many fenced or gated, giving parents with young children peace of mind), and some have the added bonus of table tennis or a pool table. GIC The Villa Collection has spent 40 years developing a portfolio of the very best properties in the Ionian and Sporades Islands, as well as Crete and Cyprus. Villa Nichola is a great choice on the island of Kefalonia – it’s near a beach, shops and taverna, so you won’t even need a hire car. If you want a villa on the coast, Croatia is a good choice. For example, five-bedroom Villa Natulia has private ladder access to the sea as well as its own pool. Focussed on the fashionable corners of Sardinia, Sardatur Holidays has a great collection of villas for families. Simpson Travel has a great collection of luxury villas with pools on the coast of Turkey, focussing on the lovely resort of Kalkan. Also try Cachet Travel for villas in rural Crete, Oliver’s Travels for family villas in Italy and the Dordogne in France, i-escape for villas in Portugal, Vintage Travel for villas in northern Spain, Corsican Places for a wide range of villas and apartments on the Mediterranean island and Peak Retreats for family chalets in the French Alps. Try Abercrombie & Kent for luxury villas in the Algarve. Vintage Travel also has useful pages listing villas with air-con, children’s pools, fenced pools and villas near beaches. Also see my tips on how to book the best villa holidays. 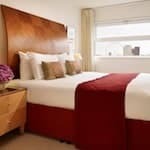 A self-catering apartment can make good sense for a family city break – it not only makes city travel with kids more flexible and affordable, but you get a lot more space to relax in than a hotel room. Check out these family and apartments from i-escape.com. Its ideas include a stylish loft in Paris, a canal boat in Amsterdam, an apartment in Lisbon and an architect-designed home in Barcelona.